There are things that you simply need to have and in those things are a good pair of headphones. We simply had to write a Blue Mo Fi review because these are one of the superior headphones on the market. After all, you shouldn’t be surprised they have such a great reputation because they are one of the best there are. You have probably seen a lot of audiophiles wearing these headphones with pride. The Blue Mo Fi are the headphones coming with the ultimate features. These headphones have all the right features for the picky music listeners. Even if you have a job as a music critique, these headphones will come in quite handy. Considering their price range, they are of extreme quality. 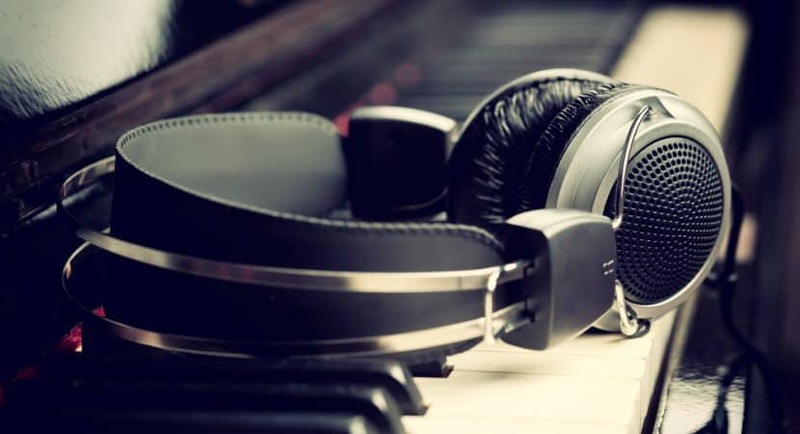 Offering the best sound you can find at this price, these are the headphones you simply must have on your short list when you are making your purchase for high-end headphones. Keep on reading our Blue Mo Fi review to find out why you might need these headphones for yourself. Coming from a manufacturer like Blue, you are probably surprised that they started with the quality of the sound in these headphones. After all, these are excellent looking headphones offering great features. For example, their sound is amazing and it is well-detailed too. Additionally, the audio is even greater if you take into consideration that they have a built-in amplifier. As we said before, one of the things that you should know about these headphones is that you can use them with high-end equipment. If you are a professional, this feature will come in quite handy. You can connect them with some serious equipment and they will work perfectly. So, improve your game and invest in these convenient and yet professional headphones. Another great thing that you should have in mind about them is that they can be used even when their battery is dead. This means that if sometimes you stay outside for a longer period of time, you can still listen to music on them. Blue Microphones have got their fame for their USB recording devices, and now they bring you some powerful headphones for your needs. If you are an audiophile, casual music listener, musician or a recording professional, you will find these headphones quite handy. They have so many qualities, and the built-in amplifier, although innovative is just the tip of the iceberg. The sound quality is so good, that you will be amazed by everything you are free to achieve with these headphones. They look as good as they sound, and they are an excellent investment. We all know that what you see is what you get in most cases with headphones. Luckily, the extremely sleek Mo-Fi design speaks a lot about the headphones and their quality you are getting. Specifically, we must mention the excellent design which allows for a tremendous amount of comfort. You can use these headphones for many hours and you won’t feel any discomfort or unease. They look as sleek as they feel – that is for sure. You will look stylish and yet, you will feel comfortable. After all, this is a very important thing to have in the dynamic society we live in. When you are constantly on the move, you need some comfy headphones. What you need to know about the design is that it looks like it is from the next century. They have a glossy plastic and shiny painted aluminum. This makes sure that the headphone as a frame and the product is very sophisticated. Also, the headphones can be easily adjusted to each shape of a head. All in all, regardless of how big you think your head is, these headphones will comfortably fit it. Additionally, the headband is light and it has a darkish gray bordering. On the back of the band, you have the adjustable tension knob. This knob has the purpose of making sure you can modify the fit’s snugness. Under the band, you have a memory foam to ensure that the comfort of these headphones is maximized. Lastly, we have to mention the ear cups. They are considerably large and they perfectly match the size and frame of any person’s face. As we said before, the sound is simply impeccable. These headphones feature an amazing 240 milliwatt amplifier. You don’t need to spend extra money on anything else ever. This amp makes sure that your sound is clear and well-balanced. You will be able to hear every single detail when you use these headphones too. All in all, they will allow you to actually enjoy the music and feel the sounds. Their performance is excellent. These are all of the things that make these headphones an excellent buy for any audiophile out there.